Who doesn’t love spotting shooting stars? Lying on your back on a patch of grass or maybe your rooftop allows you to view the stars in a spectacular way. 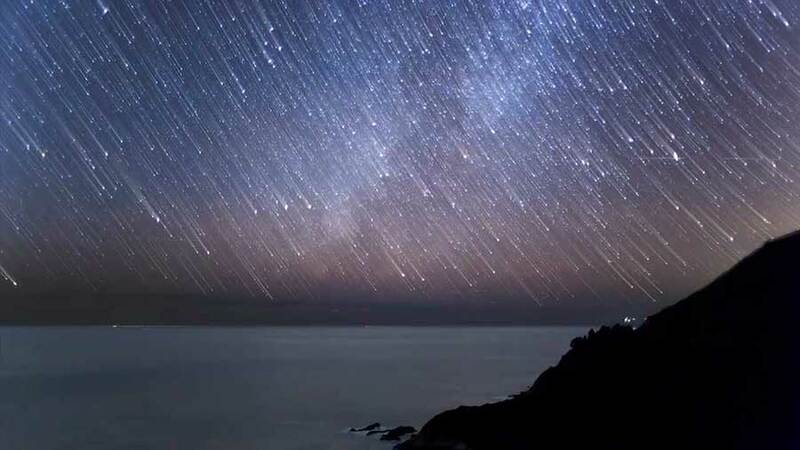 The Perseid meteor shower gives you the perfect opportunity to witness this beautiful natural phenomenon. This specific Comet was last seen in 1992 and will only return in 2026. The meteor shower officially started on the 17th of July and will have its peak between the 11th and the 13th of August. This year is expected to be even more spectacular than yet seen before. 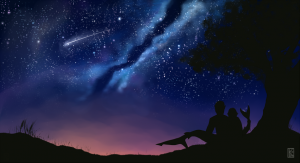 The meteor shower will continue until the 24th of August. These meteor showers are witnessed for over 2000 year already but in the year 1862 the comet which causes this Perseid shower has been discovered. The comet was named 109P/Swift-Tuttle. What makes us see the shooting stars? The small particles, consisting out of rocks and dust, ranging in size from grains to marbles, which the comet sheds come into our atmosphere. These particles enter with such speed (up to 100,000 miles per hour) that they heat up and turn into small bursts of light before they vaporize. It is very rare a particle actually reaches the surface of the Earth. Only when it manages to hit the ground it is called a meteorite. It will then amaze you what kind of damage such a small particle can actually do. NASA’s Jet Propulsion Laboratory predicts to see up to 100 meteors per hour during the peak of the Perseid meteor shower. How can we witness this phenomenon the best way possible? Go to a place with the least amount of light pollution as possible. In other words, the darker the better. If you live in the city you will have to travel outside until the artificial light does not interfere anymore with the star gazing. The moment you see the stars, you will see meteor shower as well. There is no need for a telescope since the shower is visible with the naked eye. The best time to view the meteors is just after midnight. This is when you get the clearest sight. This cosmic event is likely to affect you in unseen, yet mystical ways bringing unexpected events into your life. Even if your life has been embroiled in confusion, chaos or turmoil, the light from The Perseids is said to illuminate your path, leading you to a new direction when you need it most. As you look up at the sky, ask yourself: are there any changes you would like to see happen that would make your life happier? This cosmic event may be just the catalyst for altering your life and moving you to take constructive action and make your goals a reality. 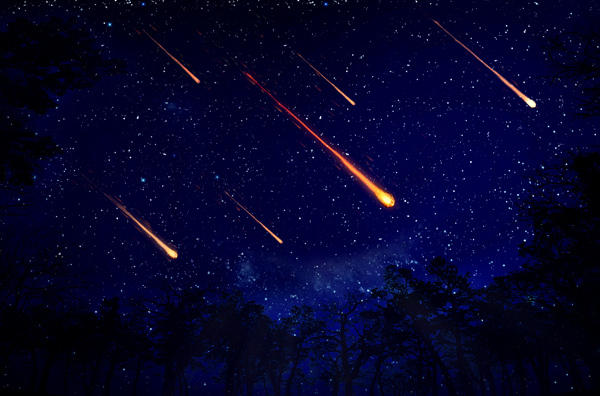 There are a number of positive changes that often occur after this amazing meteor shower. It’s time when you’re likely to be inspired to find an innovative solution to a troubling problem. Even though you may have been muddling along not knowing whether to change careers, make a commitment to a new relationship or move to a new city, suddenly your vision as to what to do is clear. Despite feeling lonely, suddenly you make new social contacts and friends. The possibilities for a magical transformation in some area of your life are endless. It’s a time when you read a book and are inspired by an idea or quotation, and suddenly, “Eureka!” The answer you’ve been searching for comes to your psyche. It all makes sense. You may go to sleep and have an amazing dream that lays out your destiny and reveals the steps you need to take to get there. Best of all, the magical effect of this event can bring you an answer to your prayers in the form of an unexpected gift or reward. All you have to do is to look up at the sky on August 12th and make a wish. Then, let The Perseids inspire you. – In the 1990’s people were afraid the comet would collide with Earth, meaning the end of our world. This theory was relatively quick debunked. Woke up shortly before five this morning from a dream of shooting stars and just now logging on to check my email and finding this post in my inbox. Saving the date for a little life changing star gazing!